The Pulse Oximeter is a non-invasive device intended for checking oxygen saturation of arterial hemoglobin (SpO2) and the pulse rate of adults at home. The LifeSource Pulse Oximeter is easy to use with a one button operation. 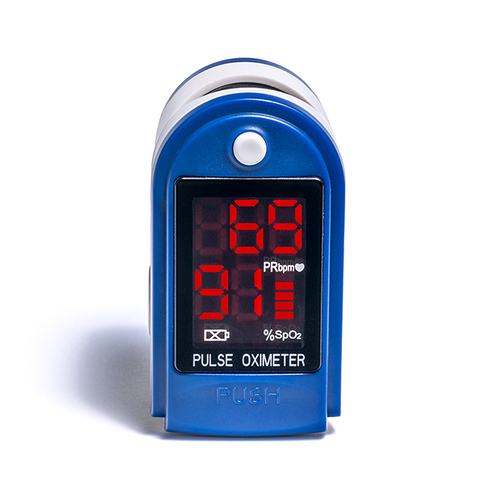 Place the Pulse Oximeter on your finger, press the button, and the results are clearly shown on the LCD. The device is portable making it easy to take measurements on the go and has power saving features to prolong battery life.